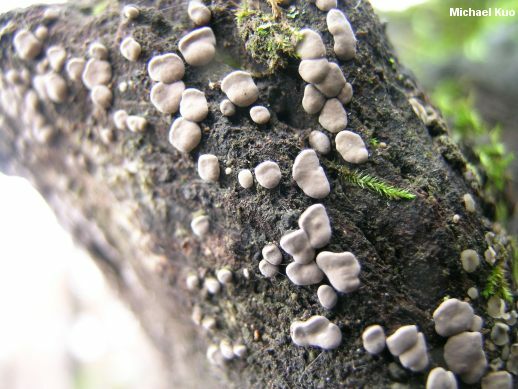 Before the well-known cubist Fernand Léger discovered colors, his work must have looked like Xylobolus frustulatus--a fascinating crust fungus that looks like whitish tile fragments put together carefully with black grout. 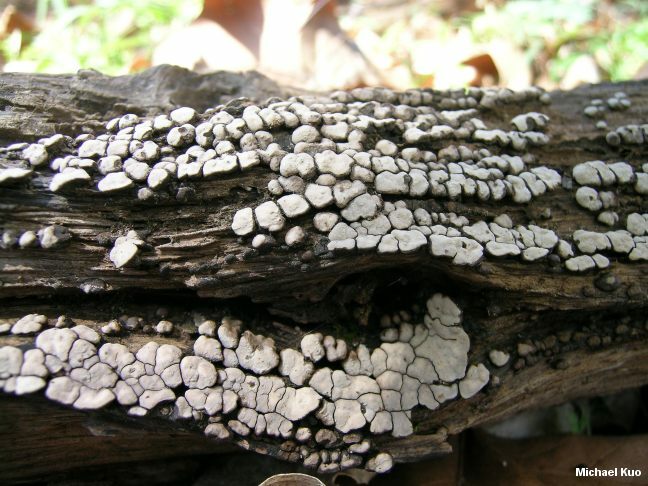 Xylobolus frustulatus is found on the dry, well-decayed wood of oaks in eastern North America, and in Texas and Mexico. 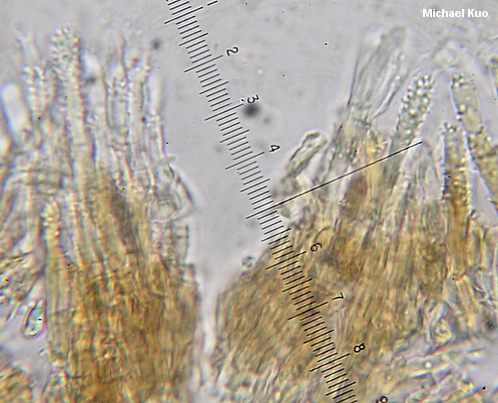 Although it is fairly easily identified without microscopic examination it is worth taking a peek, if you have a microscope, at its funky "acanthohyphidia," which look like bottle brushes. Stereum frustulatum is a synonym. 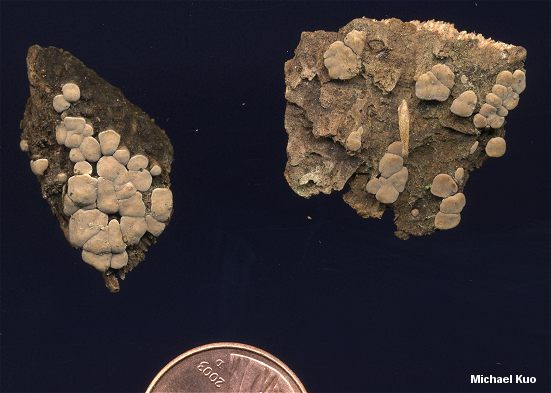 Ecology: Saprobic on the dry, well decayed wood of oaks (and, rarely, other hardwoods); growing densely gregariously in patches of adjacent "frustules"; causing a white pocket rot; spring, summer, fall, and winter; fairly widely distributed in eastern North America, and in Texas and Mexico. Fruiting Body: Resupinate; growing in patches up to 2 feet (or more) across; individual frustules up to about 1 cm across, irregularly polygonal; surface smooth or minutely pimpled, whitish to grayish or brownish (or at maturity slightly pinkish or orangish); sides dark brown to black. Spore Print: Pinkish to orangish. 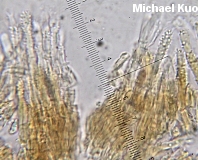 Microscopic Features: Spores 3.5-7 x 2.5-3.5 µ; smooth; elliptical; amyloid. Simple hyphidia, pseudoacanthohyphidia, and acanthohyphidia present. REFERENCES: (Persoon, 1801) Boidin, 1958. (Fries, 1821; Saccardo, 1888; Lincoff, 1992; Chamuris, 1988; Barron, 1999; Binion et al., 2008.) Herb. Kuo 10270404, 04010701.